This is a darling little home owned by a young couple in Oklahoma. I love all the color and the way they’ve redone this home in their own unique way. 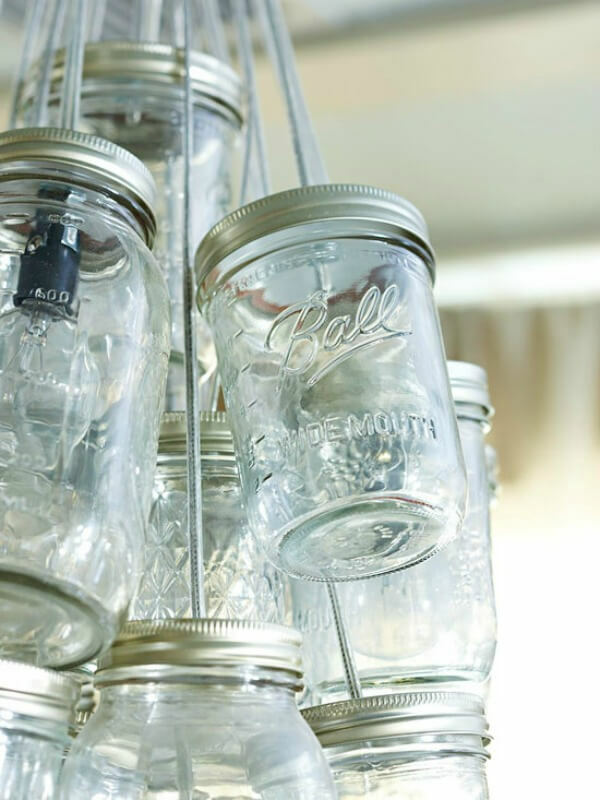 The jar lights remind me of the ones I had at the little blue house. The curtains happen to be drop cloths hot-glued together! Here’s a close-up of those lights. 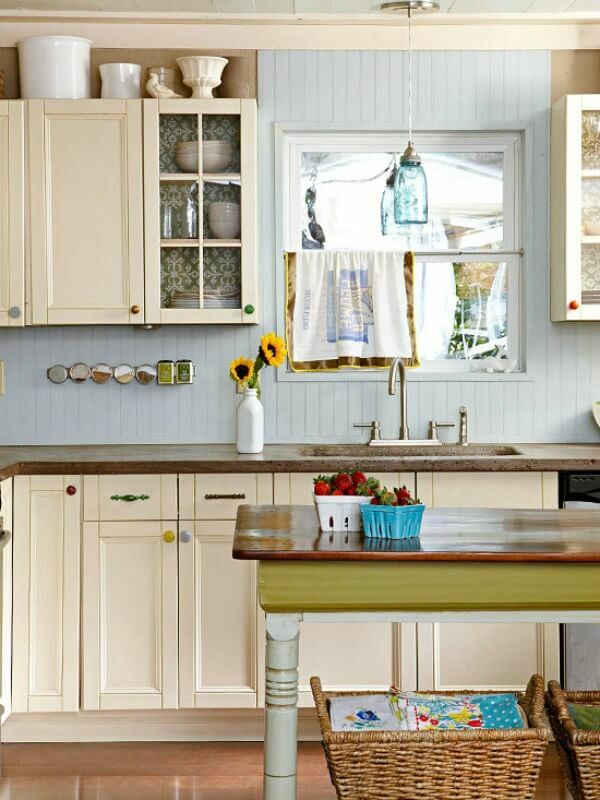 The kitchen is a combination of cottage and vintage style. They got really creative with these lockers with part of a kitchen cabinet in between. And how they “framed” the mirror with paint. The bathroom is beyond adorable. And they were even clever with their outdoor space. I can't choose because I like them all. This is a very talented couple! So simple but so unique! 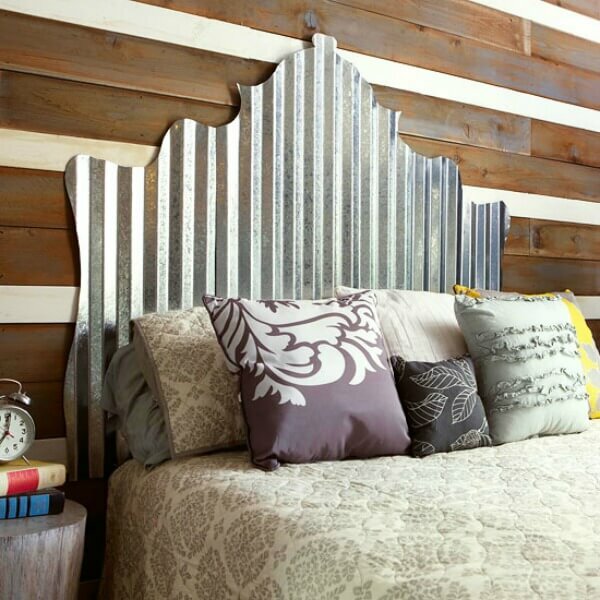 I love the headboard – that one blows my mind because I have always been a fan of this metal. I would like to have one for my own bed. The detail in very room is amazing. Thanks for sharing this lovely space. There are many ideas that we can gather from this talented couple. A really fun and creative home. I especially love their outdoor area. There are so many clever ideas here. I love how much color and nature has been brought in. I love the kitchen, which looks subdued until you spot the different colors and shapes of the door and drawer hardware. I definitely would consider copying that idea. Next favorite is the TV area. 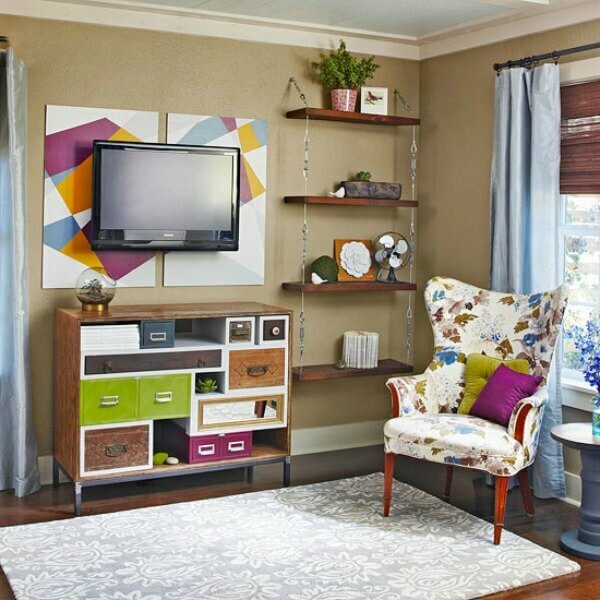 I love the Mondrian-style paint job to the chest under the TV, as well as the canvases behind the TV. That floral chair is gorgeous. Seems like you would feel upbeat and energized in this house. What a cute home!! I love the kitchen the best, I think!! I also love the outdoors space since I could see myself sitting out there on a day like today!! 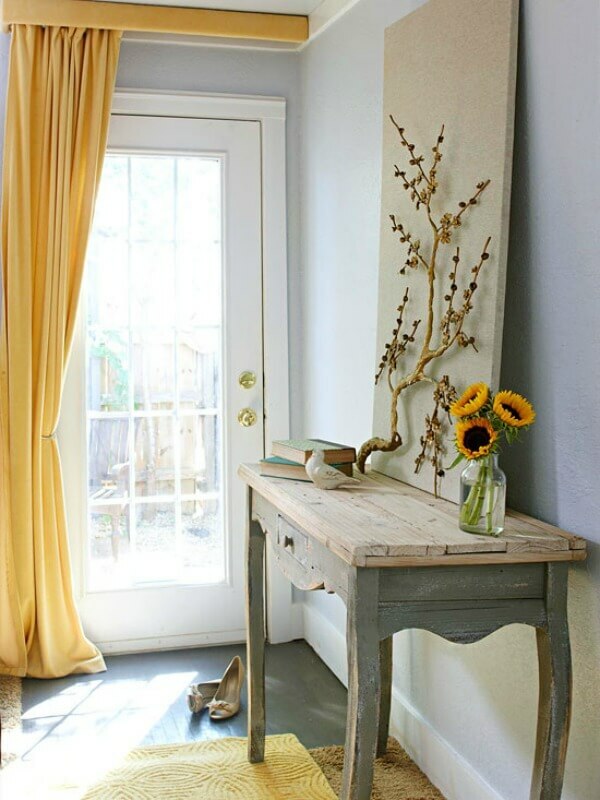 Lots of cute ideas for a cottage home! Thanks for sharing Brenda! Such a mixture of styles. I really like it all. 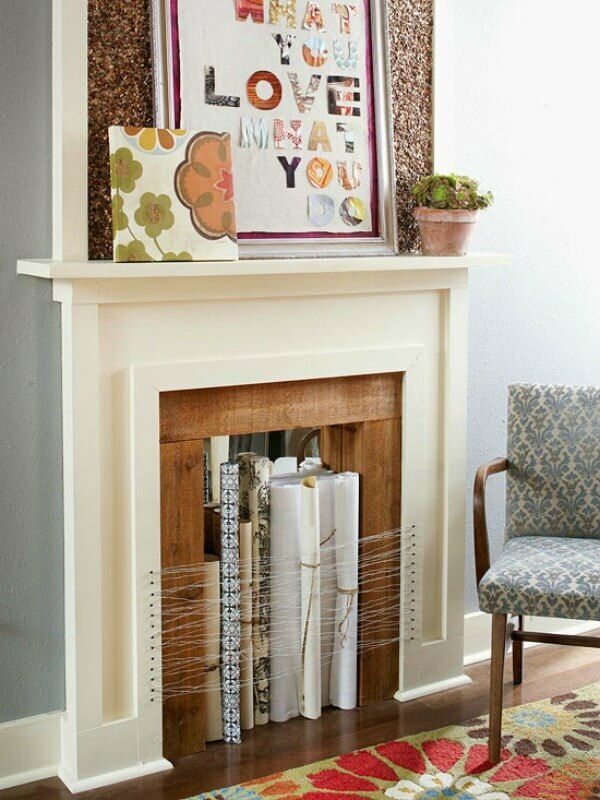 Is that wrapping paper in the fireplace. Brenda, check out Funky Junk's post. She has a cute ladder idea. What a sweet and colorful cottage style home they have!! They are obviously quite artistic, love everything about this house! 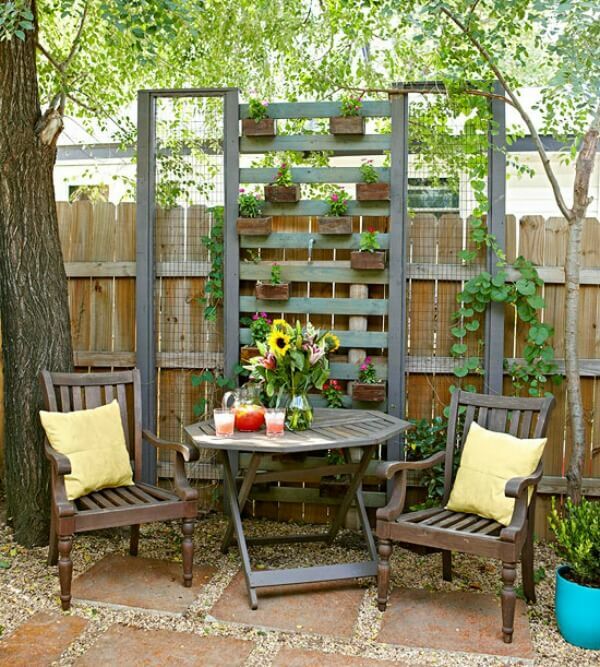 I love what they did in the garden, might be something I can do with the two pallets I have in my garage from when my floor was delivered. 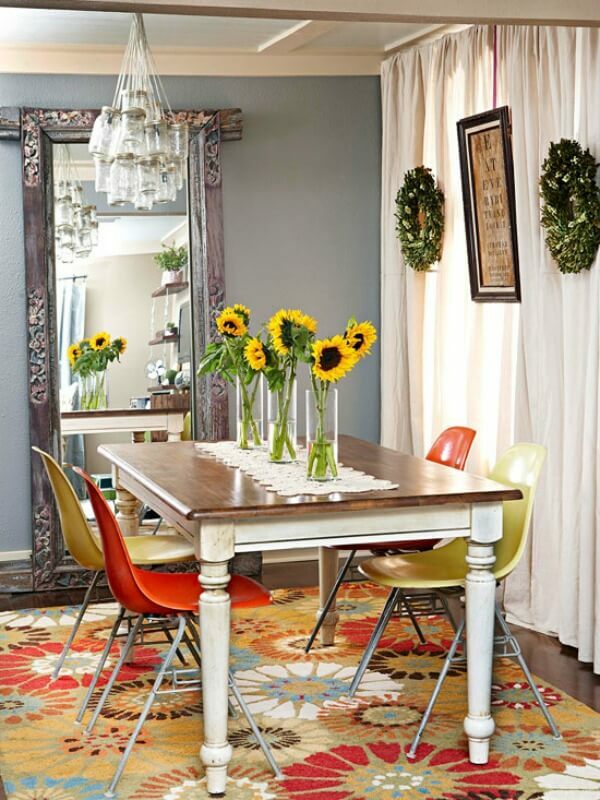 OMG, love the pops of color and the eclectic DIY details! 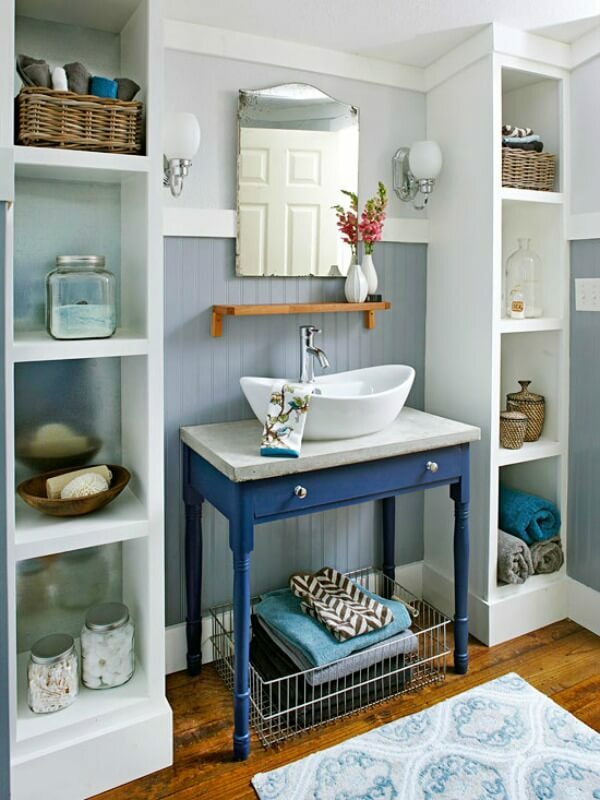 I love this home and I recognize the bathroom as I pinned it ages ago from somewhere. It's so nice to see colour and not all that white on white. 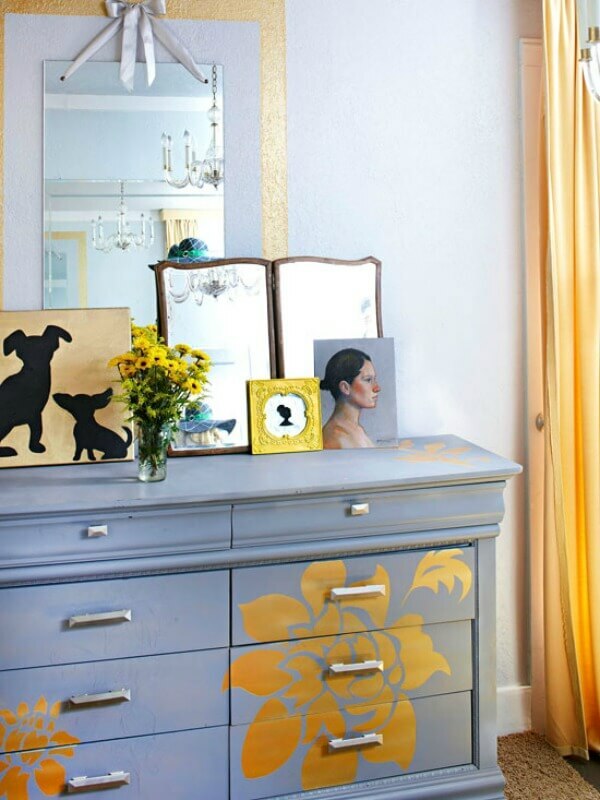 The creative couple filled their home with personality. love the way the kitchen table is painted with the green apron and creamy, chippy legs! different! So perfect for a young, energetic couple. I think the dining room may be my favorite. It is just adorable! The kitchen and bath also are, though. Shirlee from 11:13am-that bathroom was in a blog Brenda had about cute bathrooms not too long ago. I wondered then and still do now, where is the drain and other plumbing that should be under the sink?? Thats an adorable little house. 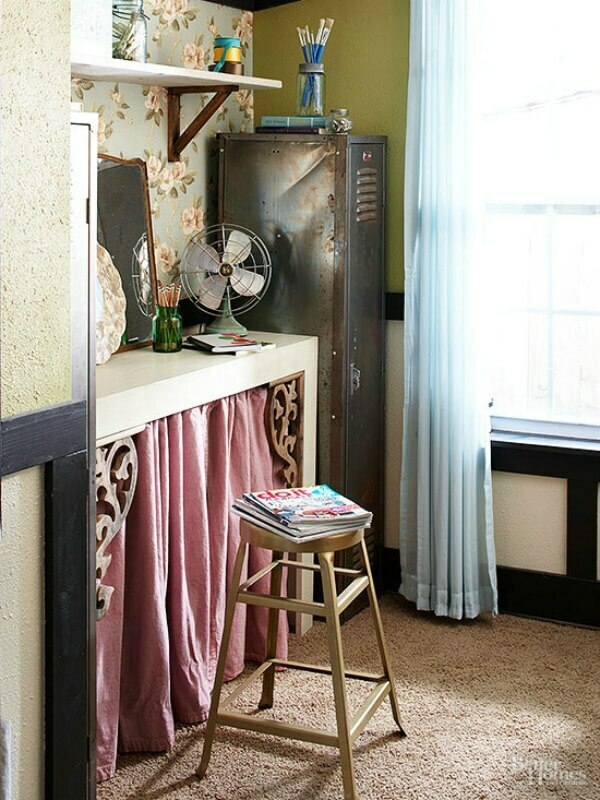 I love their vintage cottage style, and I love the colour that they have filled their home with. 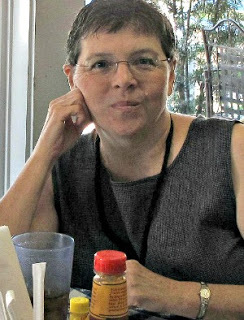 Have a good day, Brenda. So many cute ideas and I love their color choices. I like the bedroom the best–and I love the headboard!! I have decided that somewhere along the line, that bathroom photo was one taken from an in-store display to allow customers to imagine it in their homes! That's why no plumbing shown under the sink…Could it be that this cute Oklahomia couple didn't have their bathroom re-do finished and just "borrowed" this photo for their home tour? This is an adorable home. I think the kitchen is my favourite room! I really like the naure inspired art that is on the side table. Lots of creative ideas here Brenda. I think this is the first place you have shown us that I could literary just take my suitcases..walk in and live there with no changes..I just love it all..so cleaver!